Hey Kids! 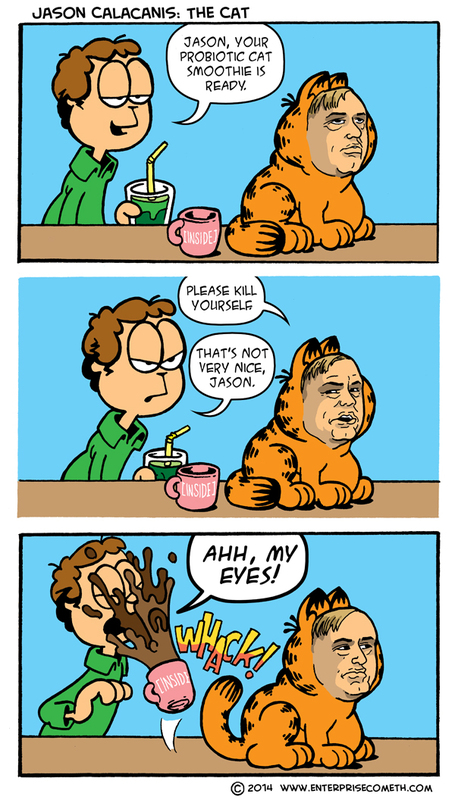 Ever wondered what a cat-version of Inside.com founder Jason Calacanis would be like? No? Well, maybe you should get out more. Most people who know Jason walk through the day with one burning question on their minds: if Jason was a cat, how would the cat act? Well, I’m not quite sure, but I know this. If Jason were a cat, you wouldn’t want to put your fingers anywhere near the cat’s mouth. He’d bite your ligaments clean off. That’s some weird, wild, and wacky stuff.